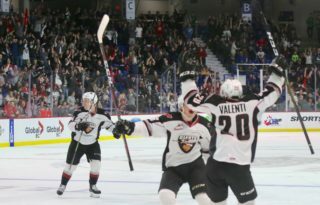 For a second straight season a Vancouver Giant is being recognized for their off-ice efforts in the community. 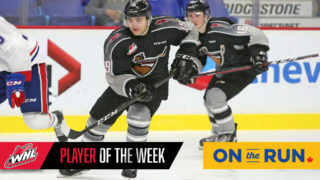 The Vancouver Giants in conjunction with the Western Hockey League are pleased to announce that Giants captain Jared Dmytriw has been named Western Conference Humanitarian of the Year. 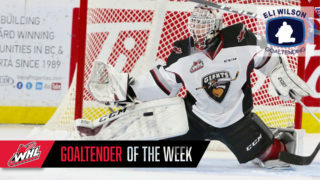 He has subsequently been nominated for the WHL’s Doug Wickenheiser Memorial Trophy along with Edmonton Oil Kings defenceman Will Warm. From the moment he arrived in Vancouver, Jared Dmytriw has been an integral contributor to the on- and off-ice success of the Giants. The native of Craven, Sask., took it upon himself to lead the Giants in all aspects of their operation. After the unveiling of the “Be A Giant” initiative this season, Dmytriw was the first player to volunteer his time to visit schools throughout the Lower Mainland to encourage local youth to be Giants in their schools, homes, communities, and for their own personal health. His kindness, compassion, easy-going demeanor and his genuine desire to be a positive role model made him an ideal spokesperson for the Giants. In November, Dmytriw took it upon himself to organize and create the Vancouver Giants Movember team. In total, the team raised $2,620 towards men’s health initiatives, with $1,560 coming from the fundraising efforts of Dmytriw. 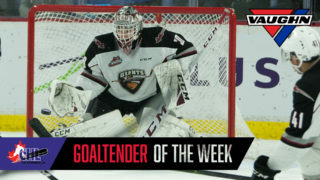 In February, Dmytriw took the lead as the Giants visited Fleetwood Arena in Surrey, B.C., to cheer on an 11-year-old Giants fan named Amelia. Dmytriw helped spark the creation of a number of signs the Giants brought along to cheer Amelia on with. 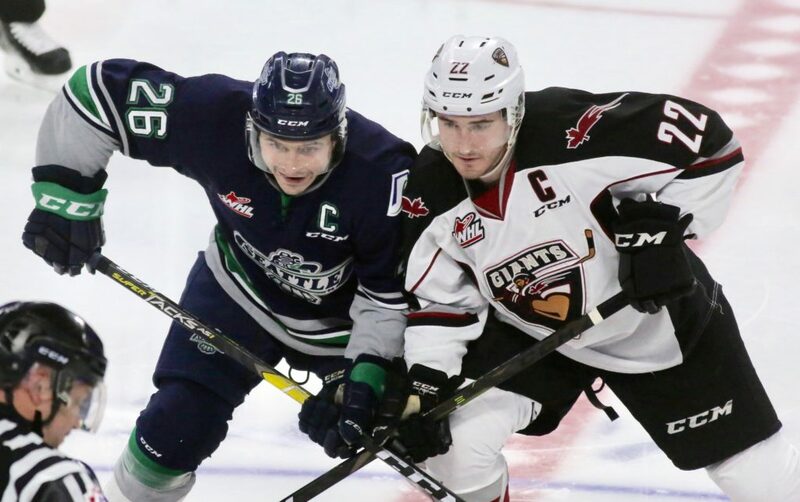 Following an extended stay after a road game in Kamloops, Dmytriw and the Giants arrived back in the Lower Mainland a few hours before Amelia’s game and attended with great enthusiasm. The impact on Amelia was incredible. Selectively mute, Amelia has been attending Giants games and encouraging her favourite players with signs for years. Her connection with the Giants has helped her to overcome many challenges, and having Dmytriw and his Giants teammates visit her own hockey practice meant the world to her. There is no task too big for Dmytriw. He has shown during his time with the Giants that he is selfless and sincere. His leadership on the ice is matched by his passion for the community off the ice. The Eastern Conference nominee is Edmonton Oil Kings defenceman Will Warm. You can read about his accomplishments HERE. The Doug Wickenheiser Memorial Trophy will be presented at the 2019 WHL Awards on Wednesday, May 1, in Red Deer, Alta.